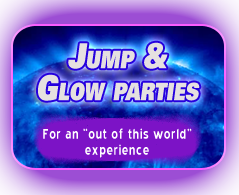 Make your party an “out of this world” experience by adding our new Glow option! We’ve added new glow-in-the-dark lighting to our gyms along with wave lighting and lights that dance with the music. The lighting effect makes you feel like you’re in outer space! Make sure to wear bright colors to get the full “glow” effect on your clothes. 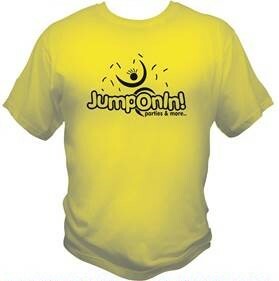 The price is an additional $40 per party for the Jump & Glow add-on package.